UN Secretary-General: "I Will Never Stop Calling for an End to the Death Penalty"
Calling the punishment "simply wrong," United Nations Secretary-General Ban Ki-Moon has vowed to "never stop calling for an end to the death penalty." Speaking at the launch of a new book by the Office of the UN High Commissioner for Human Rights, "Moving Away from the Death Penalty: Arguments, Trends and Perspectives," the Secretary-General highlighted the worldwide decline of capital punishment, noting that "more and more countries and States are abolishing the death penalty." Data from the book confirms these trends: in 1975, about 97% of countries were carrying out executions, as compared to only 27% today. Ban Ki-Moon appeared alongside Kirk Bloodsworth, the first death-sentenced person in the U.S. to have been exonerated by DNA evidence. 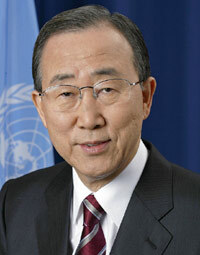 The Secretary-General said of Bloodsworth, "[Mr. Bloodsworth] represents the reason we are here today. He is totally innocent of any crime. But like too many other people, he suffered the unforgiveable injustice of a death sentence…I am conscious that he says he was not exonerated because the system worked but because of a series of miracles." Bloodsworth explained his reasons for supporting abolition by saying, "It’s very simple: if it can happen to me it can happen to anyone; in America or anywhere. What I’m saying is that an innocent person can be executed and that should never happen. If it can happen to me it can happen to anybody anywhere in the world." In his new book, The Court and the World: American Law and the New Global Realities, and in media interviews accompanying its release, Supreme Court Justice Stephen Breyer discusses the relationship between American laws and those of other countries and his dissent in Glossip v. Gross, which questioned the constitutionality of the death penalty. 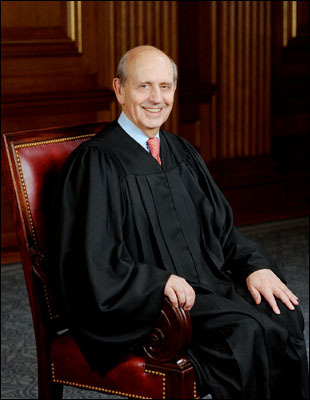 In an interview with The National Law Journal, Breyer summarized the core reasons underlying his Glossip dissent: "You know, sometimes people make mistakes, [executing] the wrong person. It is arbitrary. There is lots of evidence on that. Justice Potter Stewart said it was like being hit by lightning, whether the person is actually executed. If carried out, a death sentence, on average takes place now 18 years after it is imposed. The number of people who are executed has shrunk dramatically. They are centered in a very small number of counties in the United States. Bottom line is, let's go into the issue. It is time to go into it again." In his book, Breyer argues that the laws and practices of foreign countries are relevant to and might be particularly informative on questions regarding the Eighth Amendment. He notes that international opinion has influenced decisions to end the death penalty for juveniles and for crimes that do not result in death. His Glossip opinion also mentioned international practices - that only 22 countries carried out executions in 2013 and that the U.S. was one of only eight that executed more than 10 people - among the reasons American capital punishment may be an unconstitutionally "cruel and unusual punishment." That phrase, he says in his book, is itself of foreign origin. "It uses the word 'unusual,'" Breyer says, "and the founders didn't say unusual in what context." Foreign law and practices, he argues, should form part of that context. BOOKS: "An Evil Day in Georgia"
Through the lens of a 1927 murder and the ensuing trials of three suspects, An Evil Day in Georgia examines the death penalty system in Prohibition-era Georgia. James Hugh Moss, a black man, and Clifford Thompson, a white man, both from Tennessee, were accused of the murder of store owner Coleman Osborn in rural north Georgia. Thought to be involved in the illegal interstate trade of alcohol, they were tried, convicted, and sentenced to death on circumstantial evidence within a month of the murder. Thompson's wife, Eula Mae Elrod, was tried, convicted, and sentenced to death the following year, but was released in 1936 after her case gained notoriety in the press. "Moss, Thompson, and Elrod...were almost classic examples of perceived social outsiders or rebels who ran afoul of a judicial system not designed to protect them but to weed them out and discourage others who might think about challenging the system," author Robert N. Smith says. "Moreover, all three trials were held in circumstances where local tensions ran so high that conviction was virtually assured." John Bessler, author of Cruel and Unusual: The American Death Penalty and the Founders’ Eighth Amendment, said, "In An Evil Day in Georgia, author Robert Smith raises lingering questions about the guilt of two men—one white and one black—executed for a murder in the Deep South in the 1920s. . . . The telling of this story, one that played out in the Jim Crow era and the days of bootlegging and the Ku Klux Klan, exposes the death penalty’s imperfections even as it calls into question the veracity of a woman’s confession, later recanted, that once brought her within a stone’s throw of the state’s electric chair." 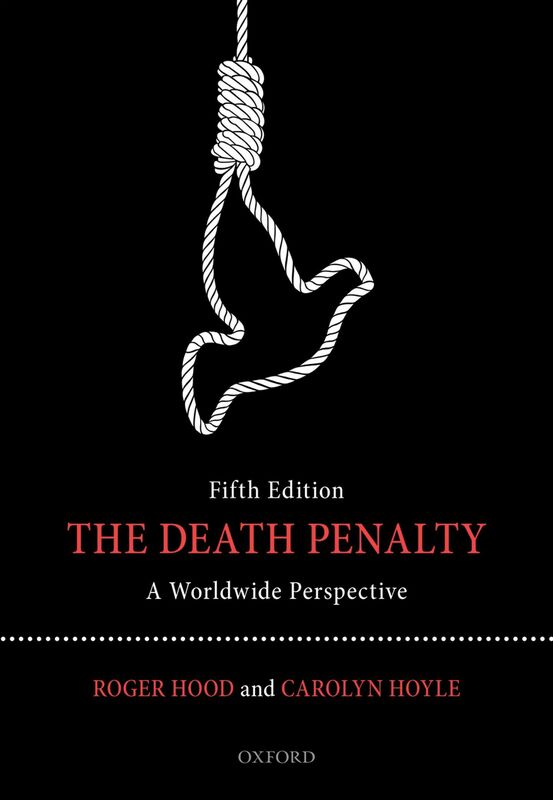 BOOKS: "The Death Penalty: A Worldwide Perspective"
The Death Penalty: A Worldwide Perspective by Roger Hood and Carolyn Hoyle, now in its Fifth Edition, is "widely regarded as the leading authority on the death penalty in its international context." The book explores the movement toward worldwide abolition of the death penalty, with an emphasis on international human right principles. It discusses issues including arbitrariness, innocence, and deterrence. Paul Craig, Professor of English Law at Oxford University, said of the fourth edition, "Its rigorous scholarship and the breadth of its coverage are hugely impressive features; its claim to 'worldwide' coverage is no idle boast. This can fairly lay claim to being the closest thing to a definitive source-book on this important subject." Jeanne Bishop has written a new book about her life and spiritual journey after her sister was murdered in Illinois in 1990. Change of Heart: Justice, Mercy, and Making Peace with My Sister's Killer tells Bishop's personal story of grief, loss, and of her eventual efforts to confront and reconcile with her sister's killer. She also addresses larger issues of capital punishment, life sentences for juvenile offenders, and restorative justice. Former Illinois Governor George Ryan said of the book, "When I commuted the death sentences of everyone on Illinois's death row, I expressed the hope that we could open our hearts and provide something for victims' families other than the hope of revenge. I quoted Abraham Lincoln: 'I have always found that mercy bears richer fruits than strict justice.' Jeanne Bishop's compelling book tells the story of how devotion to her faith took her face-to-face with her sister's killer .... She reminds us of a core truth: that our criminal justice system cannot be just without mercy." A new book, Examining Wrongful Convictions: Stepping Back, Moving Forward, explores the causes and related issues behind the many wrongful convictions in the U.S. Compiled and edited by four criminal justice professors from the State University of New York, the text draws from U.S. and international sources. Prof. Dan Simon of the University of Southern California said, ''This book offers the most comprehensive and insightful treatment of wrongful convictions to date," noting that it delves into topics such as the wars on drugs and crime, the culture of punitiveness, and racial animus, as they relate to mistakes in the justice system. The editors note that, "[The] essential premise of this book is that much of value can be learned by 'stepping back' from the traditional focus on the direct or immediate causes and consequences of wrongful convictions," with the hope of moving forward by "probing for the root causes of miscarriages of justice." A new book by Prof. Jeffrey Kirchmeier of the City University of New York examines the recent history of race and the death penalty in the U.S. The book uses the story of a Georgia death row inmate named Warren McCleskey, whose challenge to the state's death penalty went all the way to the Supreme Court. In 1987 the Court held (5-4) that his statistical evidence showing that Georgia's system of capital punishment was applied in a racially disproportionate way was insufficient to overturn his death sentence. McCleskey was eventually executed. The book connects this individual case to the broader issue of racial bias in the American death penalty. Bryan Stevenson, Executive Director of the Equal Justice Initiative, said of the book,"No legal decision in the last half of the 20th century characterized America's continuing failure to confront its history of racial inequality more than the McCleskey decision. Jeff Kirchmeier's welcomed and insightful book brings much needed context and perspective to this critically important issue. Compelling and thoughtful, this book is a must read for those trying to understand America's death penalty and its sordid relationship to our failure to overcome three centuries of racial injustice."